The McKee’s 37 N-914 Rinseless Wash Kit has everything you need to successfully wash your car without wasting water! This all inclusive introductory kit features the trusted McKee’s 37 N-914 Rinseless Wash formula that cleans paint using a minimal amount of water (just two gallons or less!). The included Bucket with Grit Guard insert traps any debris lifted off of the surface of your vehicle so that you greatly reduce the risk of wash induced swirl marks. And if you’re on the go, the Gamma Seal lid allows you to take your pre-mixed Rinseless Wash wherever you need to - like the car show concourse - without spilling! As if that wasn’t enough, McKee’s 37 N-914 Rinseless wash can be used as a clay lubricant, paint prep, or waterless wash too! 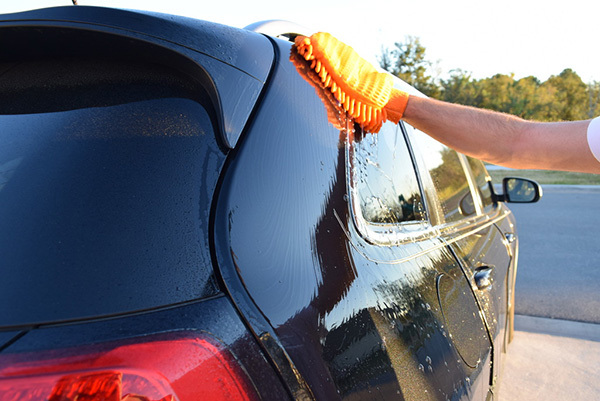 The McKee’s 37 N-914 Rinseless Wash Kit allows you to have a glossy, clean car, even when you can’t access a hose! Use McKee’s 37 N-914 Rinseless Wash to clean your vehicle using 2 gallons of water or less! The Blue Chenille Wash Mitt features hundreds of luxurious chenille fingers to make washing your vehicle safer than ever before. Each "finger" holds tons of soapy wash solution, providing ample lubrication as you swipe over the surface of your vehicle. Since the chenille strands are plenty long, they pull any dirt and grime away from paint, diminishing the risk of wash-induced swirl marks. A total retail value of $152.96. Save $52.97! rinseless/ effortless wash 5 so easy to use. not having to drag out a hose. made the wash solution in the bucket put it in the car drove to the park and washed my car there in the sun and 39 degrees.